May 1st belongs to the workers. From the Haymarket martyrs, executed during the struggle for the eight-hour working day, to our own struggles today, it has become a day for all working people. This year, May 5th is the two hundredth birthday of the philosopher and revolutionary, Karl Marx. His investigation of capitalism helped provide us with tools for understanding and resisting our oppression under this system. When we talk about “accumulation by dispossession” as a process of colonialism, or how capitalists must increase their rate of profit through imperialism, we are building upon the foundations he set in place. Settler-colonialism is at the heart of ruling-class power in Canada, which can only survive by exploitation and theft from indigenous nations. Major pipeline projects are taking place across Turtle Island, including the nearby Enbridge Line 9. Trudeau’s government has repeatedly stated that these pipeline projects will continue even if they must bring in the army. Canada claims to treat with indigenous peoples on a “nation to nation” basis, but these projects erode indigenous sovereignty. While pipelines threaten clean water, close to one hundred reserves lack safe drinking water. Despite this, companies like Nestle extract millions of litres of groundwater for private profit. We can see how the settler-state takes land and resources, while leaving poison and oppression. Camps of settler pipeline workers, “man camps”, represent a constant threat to indigenous women and girls. The thousands of missing and murdered indigenous women and girls and recent acquittals for the killers of indigenous people like Tina Fontaine and Colten Boushie show that the settler legal system offers no justice for the national oppression of indigenous peoples. 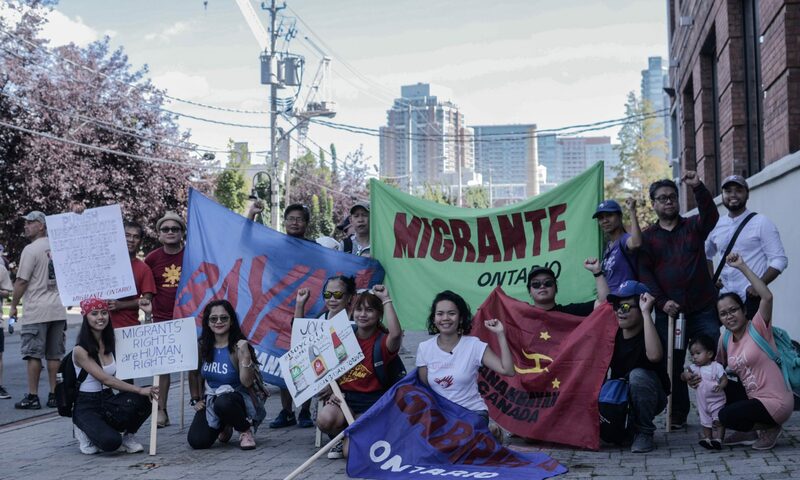 Workers have a side to take in the struggle of indigenous peoples against settle-colonialism! Exploitation and plunder enriches the ruling class, and environmental destruction threatens all of our lives. Indigenous struggles are also workers’ struggles! Tools of oppression used against indigenous and other oppressed peoples in Canada are also used against the subjects of Canadian imperialism, but the defeat of our ruling class elsewhere brings us closer to victory at home. The imperial war machine is intensifying its drive against Venezuela, Syria, the DPRK, and other independent countries of the global south. As workers in the belly of the beast we must unite with oppressed peoples and nations against Canadian war and imperialism! Victories against settler-colonialism and imperialism will bring us closer to victory over capitalism, the global system of oppression that exploits and consumes all of us for the profit of a few. And at the same time, victories against the ruling class weaken their grasp on colonized people at home and abroad. If we want to win, we must unite! Today, on International Workers’ Day, we reaffirm our determination to unite against capitalism, imperialism, and settler-colonialism!